A Minor penalty shall be assessed any player who trips an opponent. If injury results, a Major penalty shall be assessed. Note: A penalty shall not be assessed if, in the Referee’s opinion, a player is unquestionably hook-checking the puck and obtains possession of it, thereby tripping the puck carrier. 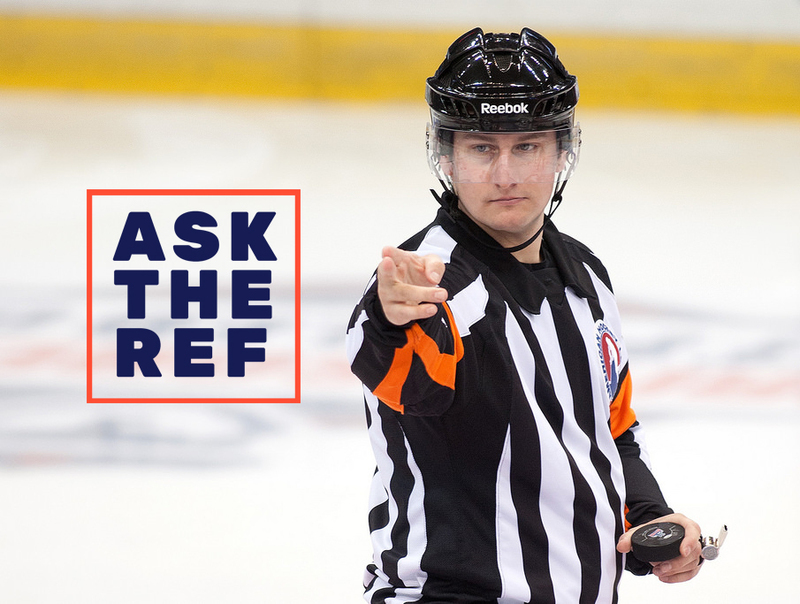 Where a player uses her stick, knee, hand, foot, arm or elbow in any manner or falls or slides along the ice directly in the path of the puck, causing the puck carrier to trip and lose possession of the puck, a penalty shall be assessed. Note: If a player in the process of falling or sliding along the ice, hits or knocks the puck from her opponent’s stick prior to making actual body contact, the tripping action shall be ignored. A Major penalty plus a Game Misconduct penalty shall be assessed any player who fights. A player who is identified by the Referee as being the instigator, or the aggressor in a fight shall be assessed a Minor penalty, in addition to any other penalties she may incur. Team A player high sticks Team B player into the boards. The Team B player retaliates by dropping his gloves and fighting. Who receives the Instigator minor – Player A or B? REASON: Team B player starts fighting. Team A player may receive a High Sticking penalty for the first infraction, plus a Fighting Major and a Game Misconduct if he fights back.